I create the text part of the label on the computer or by drawing it with permanent fabric markers. Either way, follow the manufacturer’s instructions to make the text permanent. My experience has been that everything fades over time if it’s washed repeatedly, so just do what you can to make the label as permanent as possible. Embroidery is probably the most long-lasting option, either by hand or by machine. Trim the text panel so as to leave about 5/8″ outside the words on all sides. 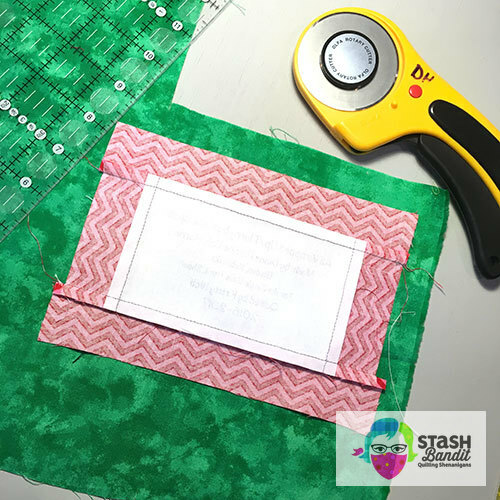 You need 1/4″ for the seam allowance as well as some blank space to serve as a margin between the words and the seamlines. You can experiment to see how much margin you like, but cutting 5/8″ outside the words is a good starting point. 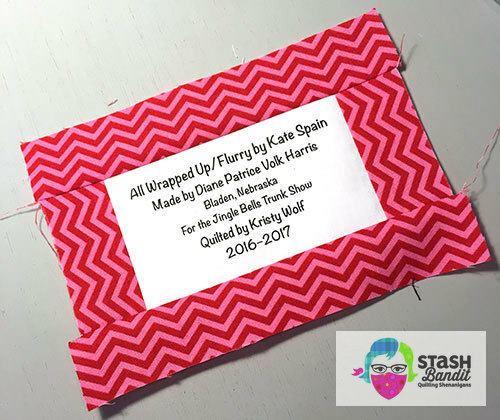 Choose a fabric that complements the label colors and the quilt backing. Cut enough 1-1/2″ strips to go around the text panel. 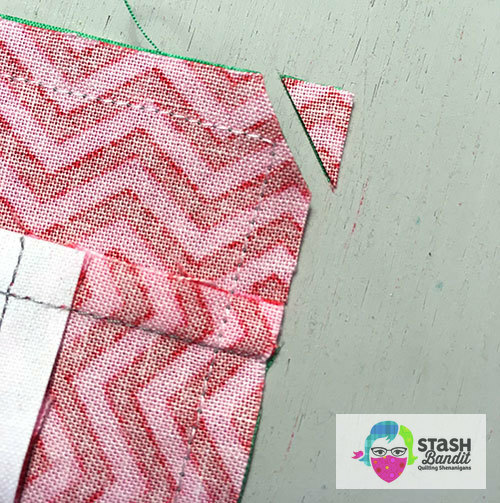 Sew the 1-1/2″ strips to the label like you’re adding a border to a quilt using a 1/4″ seam allowance; it doesn’t matter which ones you sew on first. Press the seam allowances away from the center. 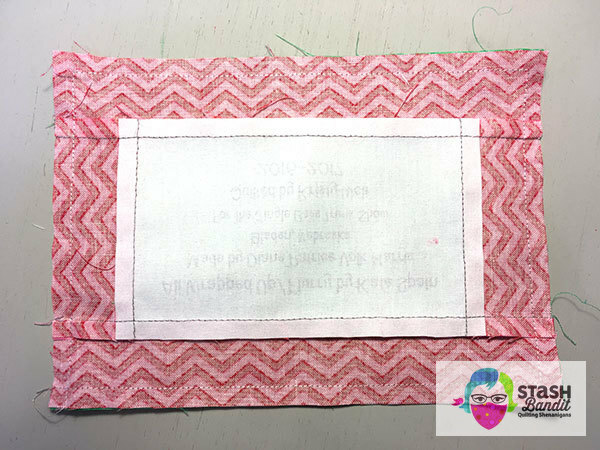 Choose a backing fabric for the label. 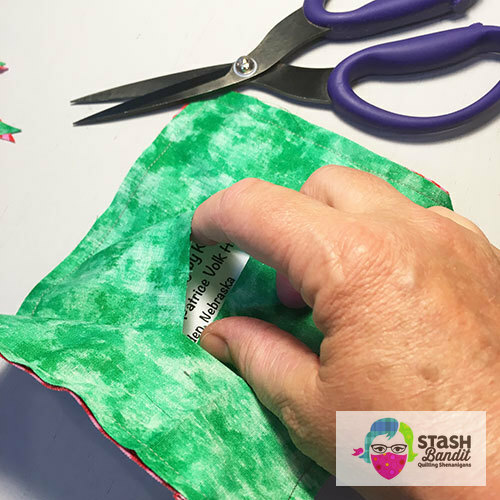 Put the label and the backing fabric right sides together and trim everything to the same size. Line it all up, right sides together, and put in a few pins. 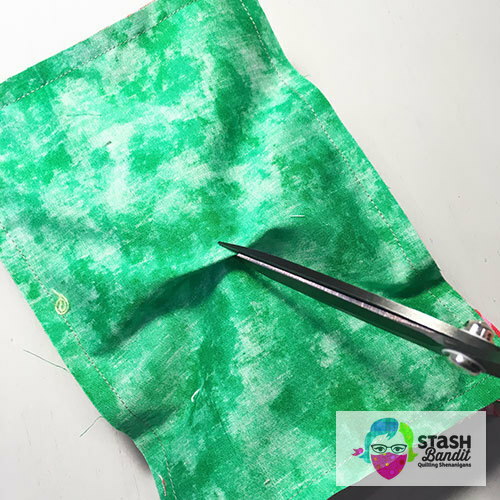 Sew all the way around it with a 1/4″ seam allowance as shown below. Trim off the corners to eliminate bulk. Don’t cut too closely to the seam—you want to leave a few threads of space. 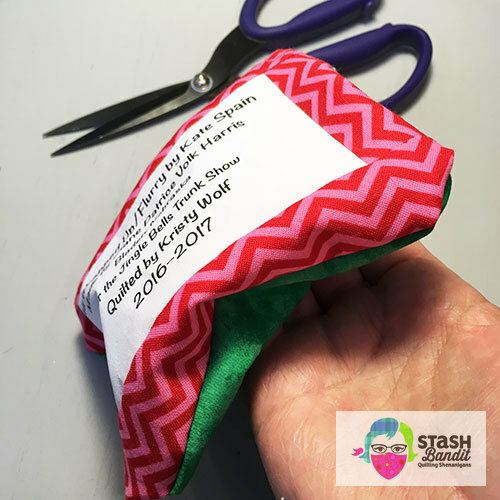 Pull the backing fabric away from the label front. Cut a slit in the backing fabric about 2″ long. Turn the label right sides out through the slit. It will look a little lumpy. Push the corners out gently with something pointy. Take care not to push through the seam. If you do, that label is toast. Press the label one last time. Sometimes I use matching thread and sew in the ditch around the center panel to give it a nice finished look. Sometimes I don’t. Totally optional. 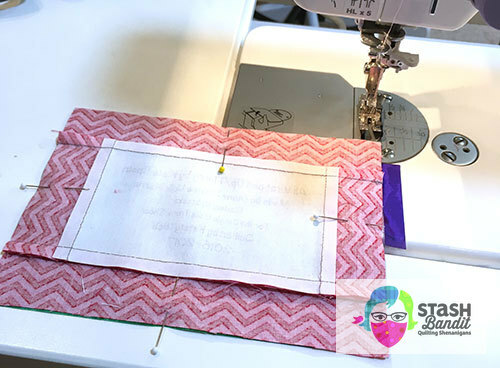 Use a blind stitch (like you’d use for hand applique) to sew the label to the back of the quilt. 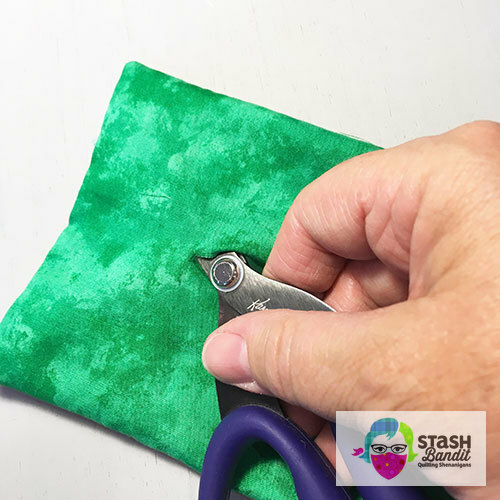 Be sure it’s very secure because over time, hand stitches can easily loosen. Presto! You’ve finished labeling your quilt! Let‘s have a giveaway. 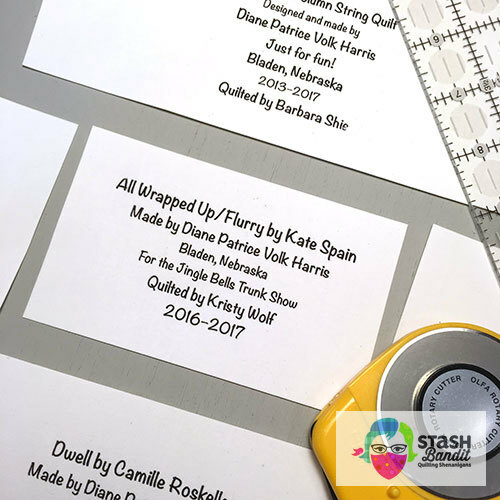 I’ll make two custom labels for a randomly-drawn winner who leaves a comment before midnight on Sunday, July 15. You may choose whether they’re hand drawn or composed on the computer. You’ll get to approve the design. 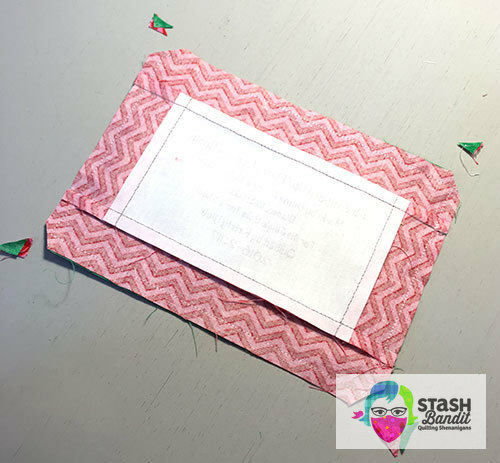 Thanks for visiting Stash Bandit! The winner is comment #8, Janice S. I’ve emailed her to confirm. Thanks, everyone! Would you like to see the Stash Bandit’s quilts? 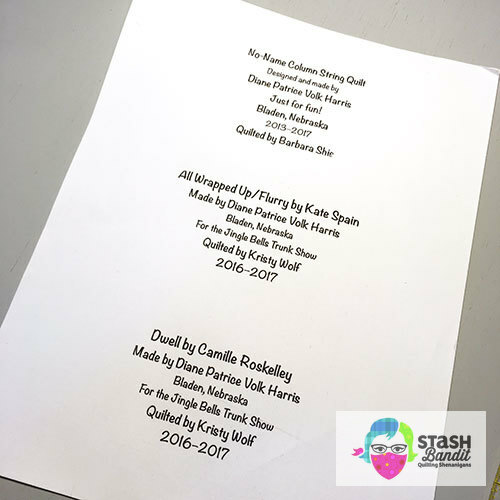 I’d love to share a quilt guild program with you. 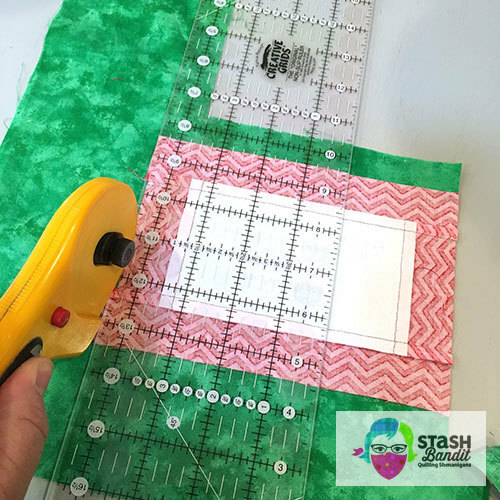 Get in touch and Let’s Talk Quilts! I’m new to quilting so I haven’t designed a label yet. I guess I’ll have to get to it! I’ve been trying to improve my ratio of labeled to non-labeled quilts, but I’ve got a long ways to go! I’ve never seen your technique. Thanks for sharing! 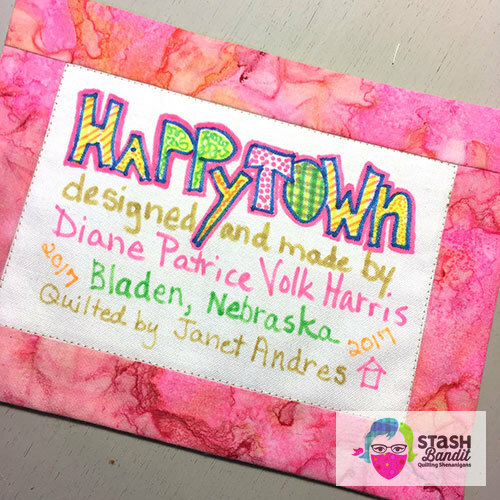 I will admit that I don’t like to make labels so the only time I do it is when I am entering a quilt in a competition and HAVE TO Have a label! I like your method so will give it a try! Winning custom-made labels from you would be quite a treat! Hi, I’m getting better about labels. When I first started many years ago, I didn’t think about them. Now I’d like to remember when they were done, etc. So I’m doing better, I try to sew 2 sides on when I sew the binding, then only 2 sides to stitch! I hadn’t thought about lining the label, but that’s easier than turning under 1/4″. Thanks. And I’d love to win one of your labels. That handwritten label is really colorful! I just learned this label technique and really like it. That is a pretty neat idea. I have made labels, but never put a border on it or lined it. 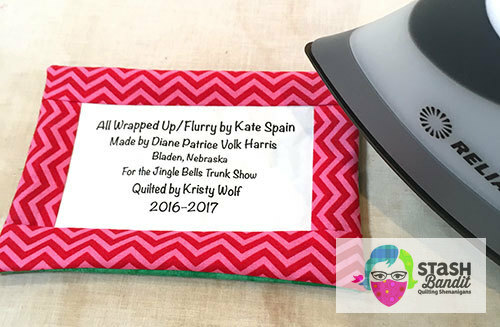 I have several quilts that need labels right now, so I am going to try your idea. Thanks Diane! 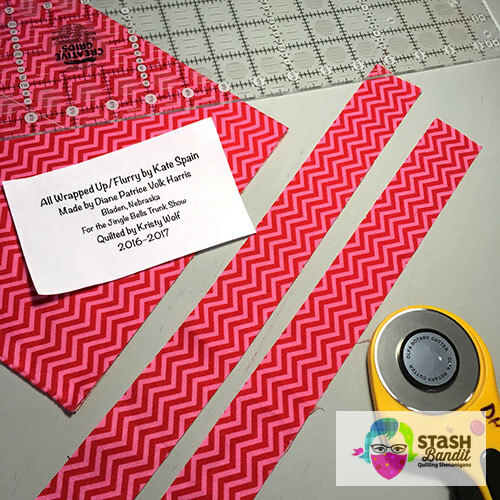 I haven’t made labels before, and I know I should!🙄 This method looks do-able! Thanks! Yet another great tip! Thanks for a great blog! You are inspiring me to sign/label all my quilts. I’ve been leaving out this important step for a whilte now. I know how important it is to label my quilts, but it is my least favorite part of the quilting process. I’m definitely trying your label-making technique. It looks much more polished and professional than my current method. Thanks for sharing! Great tutorial, thank you for sharing! Quilt labels are something I really struggle with. I just need to buck up and do them.